LevroAminoSurge is an advanced amino acid formula intended for people exercising recreationally as well as professional athletes. 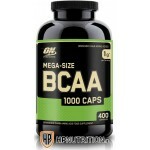 Recommended during the period of high intensity exercise and in lean muscle mass building periods. Every portion fuels Your body with 5 g of L-glutamine, 2,5 g of L-leucine, 1,25 g of L-isoleucine and 1,25 g of L-valine and with additional SAA complex. Branched chain amino acids (BCAA) are essential amino acids, meaning that the body cannot produce them and they must be delivered with food. Other essential amino acids are phenylalanine, methionine, tryptophan, threonine and lysine, but leucine, isoleucine and valine satisfy about 40% of body needs for essential amino acids. 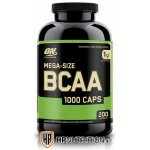 BCAAs are particularly important in the diet of hard training athletes. Studies show their beneficial effects on muscle recovery and muscle protein synthesis1. SAA is a complex of amino acids derived from silkworm cocoons with typical percentage composition of L-alanine, glycine and L-serine. Studies in mice and among a group of athletes demonstrate the beneficial effect of supplementation on increasing the concentration of stamina (energy booster). The authors of this study suggest the combination of these amino acids with BCAAs for the best post-workout supplementations results2, 3. Backed by clinical research, this entire amino acid profile is tailored for serious bodybuilding/sculpting warriors that need extra endurance to reach heightened levels of muscular output. 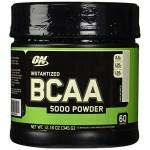 Leverage the entire gauntlet of proteinogenic branched chains to tackle iron with new ferocity! 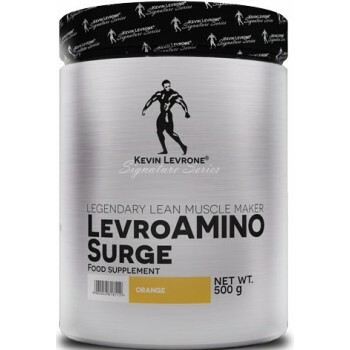 What is in Kevin Levrone Levro Amino Surge? *SAA contains all proteinogenic amino acids but only those representing more than 2% are listed due to their greater relevance. L-glutamine, instantised BCAA complex (L-leucine, L-isoleucine, L-valine), silk amino acid complex, flavouring, acidity regulator (citric acid), anti-caking agent (silicon dioxide), sweetener (sucralose), colour (beetroot red). How to take Kevin Levrone Levro Amino Surge? Recommended use: Mix 3 scoops of powder (16 g) with 250 ml of water, drink 1-2 times a day (before or/and after training). Warnings: With sweetener. Do not use if you are allergic to any of the product compounds. Do not exceed the recommended daily dose. Food supplements should not be used as a substitute for a varied and well-balanced diet. A varied and balanced diet and a healthy lifestyle are recommended. Do not use if pregnant or nursing. Keep out of reach of young children. Store in dry and cool place. Protect from direct sunlight. 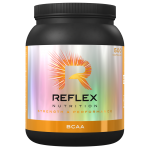 Reflex BCAA 500 Caps BRANCHED-CHAIN ..
OPTIMUM NUTRITION BCAA 5000 Powder ..
Optimum Nutrition BCAA 1000mg - 200 Caps..
Optimum Nutrition BCAA 1000mg - 400 Caps..
FA Nutrition Core BCAA 8-1-1BCAA 8: 1: 1..